Tim currently leads an organisation of over 2,000 professionals spread across the globe which manages 600k customer contacts a month to deliver an excellent customer experience and drive long term customer loyalty. The business supports more than 1200 Shell distributors, 40k service stations and 900 airport operations. Tim is concurrently the Chairman of the Board of Shell's large JV in Turkey. Tim has previously held the positions of Vice President Retail, Europe, Russia and South Africa and Vice President Commercial Bulk Fuels & Lubricants, Europe and Africa. Before this, he headed the Shell Lubricants business in the Asia-Pacific region, based in Singapore for 4 years. 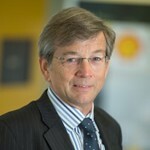 Tim joined Shell in 1981 and has been in the organisation for over 35 years. Early career roles were in crude oil trading, LPG and central Lubrications marketing. Thereafter, Tim spent four years in retail and commercial roles in Australia and led the Trading and Marketing businesses of Shell in the Eastern Caribbean for 4 years based in Barbados, before becoming Managing Director of Shell Marketing Oman, Muscat, where he led the flotation of 50% of the company on the local stock market. Tim then returned to London to lead the roll out of the global new fuels programme and the V Power fuel brand. Tim has also led Shell's embryonic retail gas and electricity businesses in 6 deregulating countries, and played a pivotal role in the Shell acquisition of Pennzoil Quaker State. Tim was born in the United Kingdom and is married with three grown up children. He enjoys cycling, sailing and swimming in his spare time.